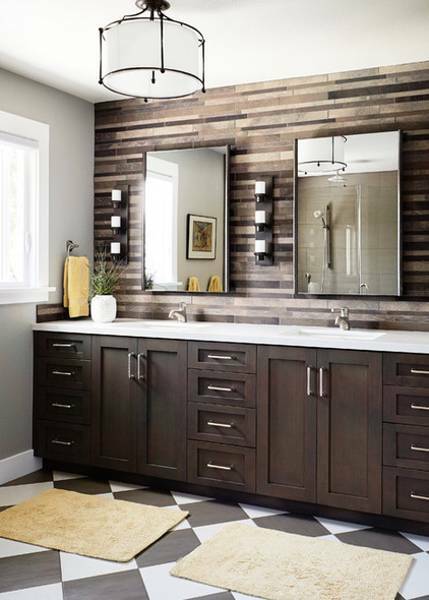 This beautiful home interiors created by designer Kristina Wolf. 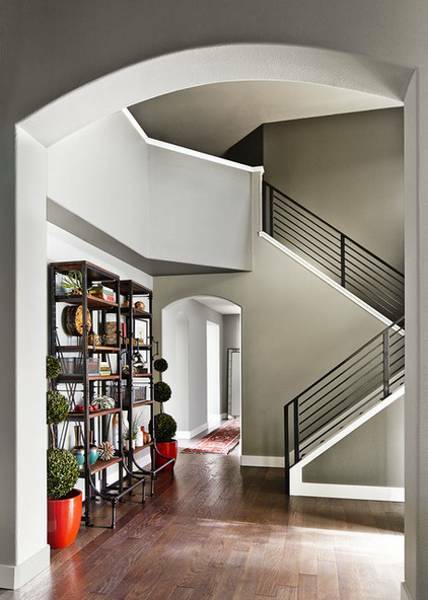 The entrance and hall decorating ideas set the tone for the rest of the house. 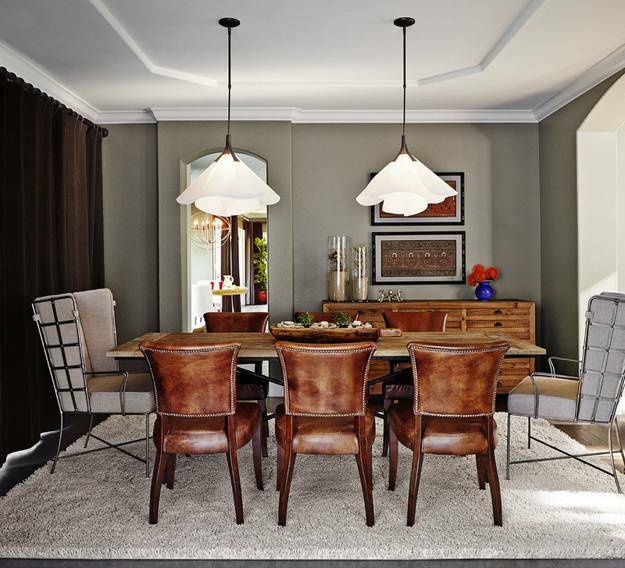 Gray color tones provide a peaceful background for contrasting elements. The metal railings and wooden shelves add a feel of the industrial style. 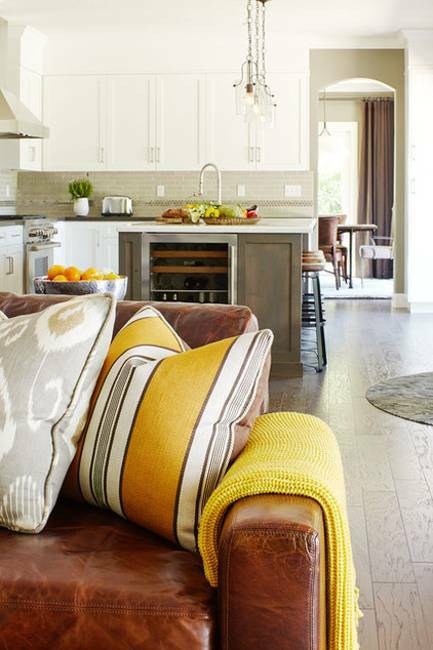 Wooden floors and shelves look warm and beautiful, blending organic elements into modern interior decorating. The ground floor spaces are open and airy. There is a family room near the kitchen with a spacious breakfast nook. All rooms feature a nice view of a swimming pool, palm trees and vineyard, bringing nature inside and enhancing comfortable interior decorating ideas. 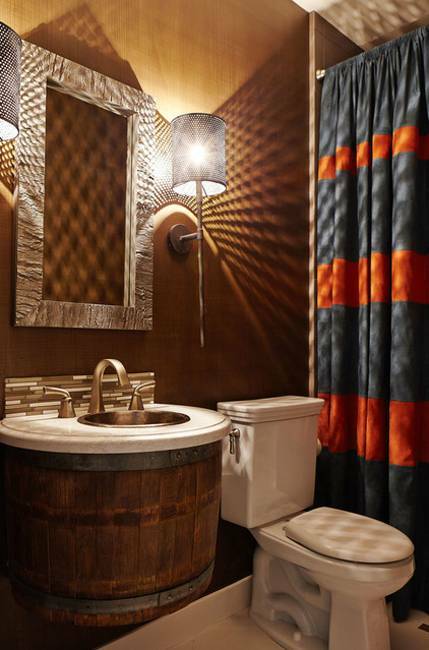 Attractive textiles give a character to calming interior decorating. Neutral colors complement the scenery. 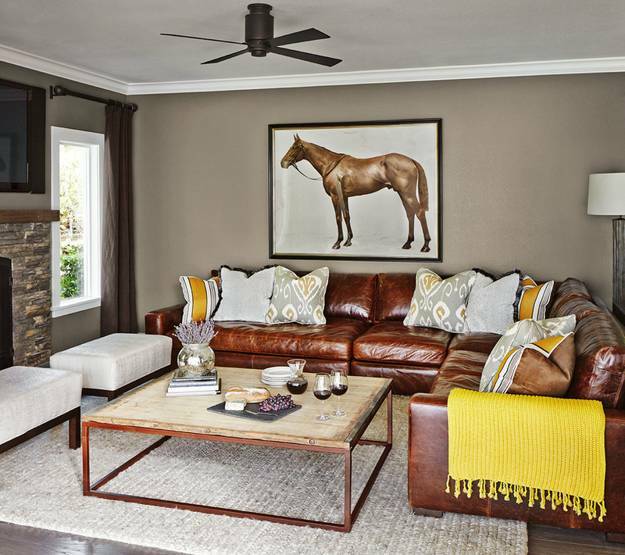 Leather sofa and a rustic coffee table increase the effect. 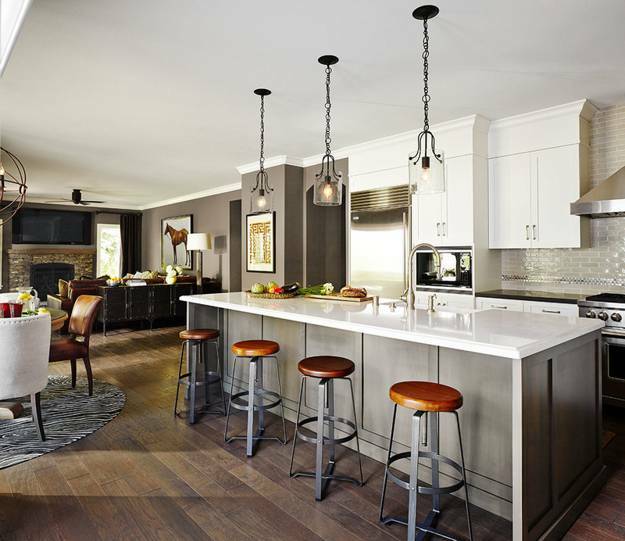 The family room floats into kitchen, creating more spacious and pleasant feel. 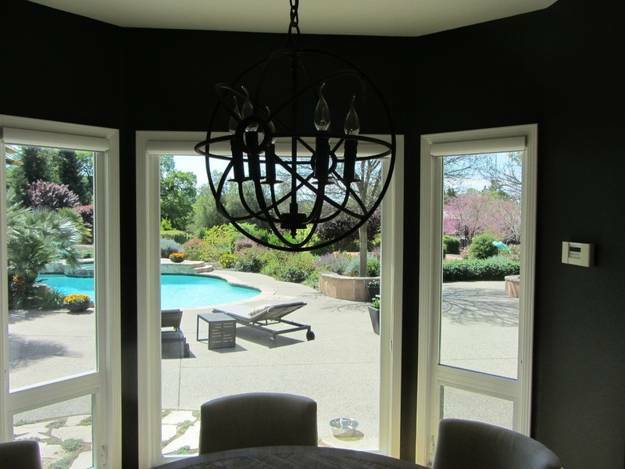 The windows invite the sunlight that highlight airy and inviting interior decorating ideas. 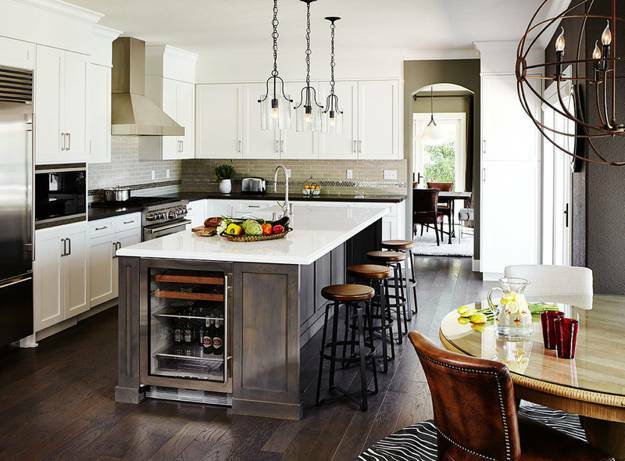 The kitchen island in gray color is combined with white cabinets, bringing energy into kitchen decor by adding contrasts to interior decorating. The kitchen island feature a wine cooler and a dishwasher. Quartz kitchen countertops and elegant sink bring expensive and classy accents into modern kitchen design. 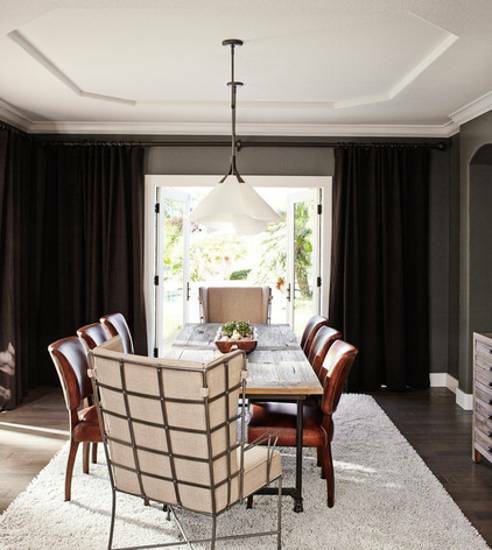 Metal stools and chandeliers hanging over a wooden dining table, wooden and leather chairs and stone fireplace design continue a wide palette of interior decorating materials that makes this living spaces look so welcoming, interesting and stylish. Comfortable and cozy room decor is spiced up with bright accents in rich blue and yellow color shades. The bedroom decorating ideas are developed on the contrast of white and gray color tones. 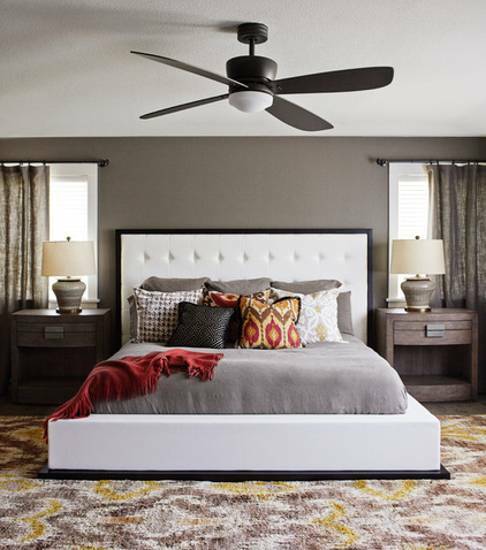 The bed is the center of this room, adding a stunning focal point with the white base and headboard to spacious and luxurious interior decorating. 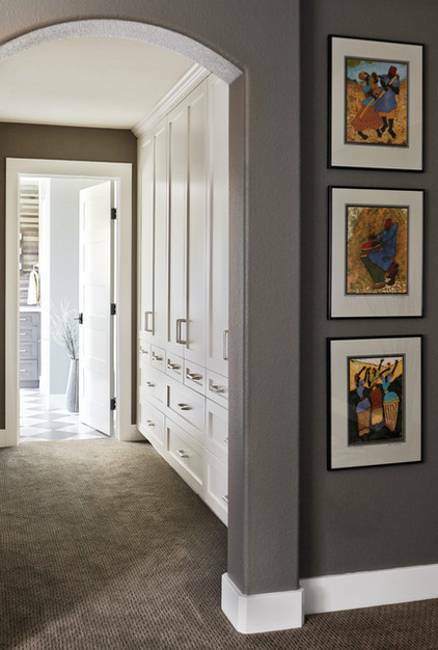 Built-in storage and a separate dressing room add comfort and chic to bedroom decorating. 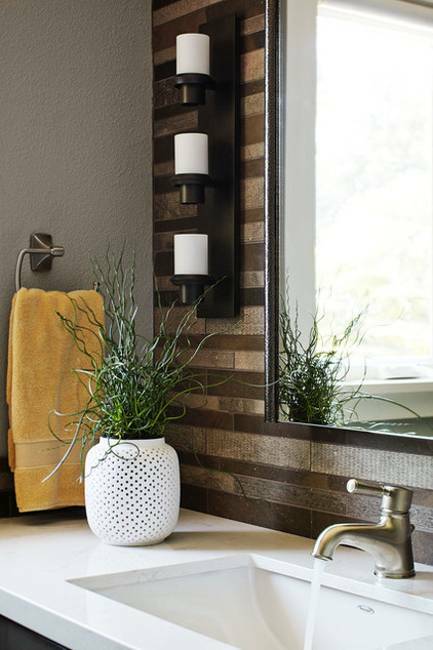 Modern bathroom decorating ideas include unique barrel sink and stones that add beautiful natural tones to bathroom colors.